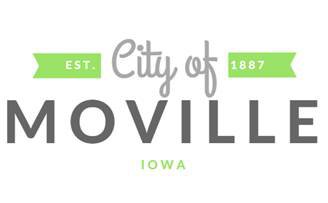 The Moville Chamber of Commerce was founded on May 16, 1955 as an organization to advance the civic, commercial, industrial, agricultural and social interests of the town of Moville, Iowa and surrounding territory. The Moville Chamber was the successor organization to what was known as the Moville Commercial Club. Membership to this organization is the same today as written in the original 1955 by-laws. “Any person, Firm, Association or Corporation interested in the general welfare of the city of Moville and the surrounding territory shall be eligible to membership in this Chamber of Commerce. Today, the organization continues meeting, planning and organizing just as it did in 1955. In recent years, the membership has grown to nearly 70 commercial and individual members. 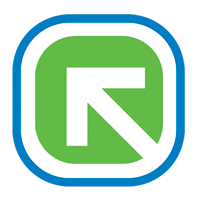 The organization holds monthly meetings on the second Tuesday of each month except for the months of July and August. It continues to sponsor many community events and has been instrumental in coordinating several community projects. It particular, members of the Chamber along with volunteers from MCDAI, was influential in organizing and funding the Market grocery store project. Members of the Chamber volunteer for and contribute to annual community events such as Easter Egg Hunt, Moville Days, The Chamber Golf Tournament, Halloween Trick-or Treat Night, A Christmas Celebration and many Woodbury Central School activities. The Moville Community Foundation, affiliated with MCDAI, is now taking applications for grants that may awarded to non-profit charitable organizations in and around the Moville community. The foundation was set up by citizens of Moville to fund projects for the community now and in the future. Grants may be awarded up to $1,000 and priority will be considered to those projects that have potential for long-term impact, address an emerging need, or provide a creative solution to an existing need in the community. The foundation is also looking for those projects that will directly involve volunteers in hands-on services supporting the projects. Applications for the year will be taken until March 15th and notice of awards will be given by April 30 of that year. For grant applications, please contact Stee Maxwell, PO Box 805, Moville or at 712-873-3303. Persons wanting to contribute to the foundation in the future can also contact Stee Maxwell. The Moville Community Development Association, Inc., (MCDAI) has been involved a with various projects in the Moville community for more than 50 years. MCDAI has been the sponsor of the Moville 1987 Centennial Celebration, and in 2012, the 125th celebration of the community's founding. It was instrumental in building the Moville Medical Clinic and bringing back medical services to this community. It also raised funds for building a community grocery store after a fire destroyed the previous grocery store. Most recently it has helped finish a pavilion in the Main Street Park in Moville. It has also assisted businesses in getting started in Moville and can provide some seed money for a new business coming to Moville. MCDAI exists to help projects that enhance the quality of life in Moville and the surrounding area. It has helped with the plantings on the Moville sign on Highway 20, helped with the remodeling of a shelter house in the city's Memorial Park and various other projects. MCDAI has also formed a Moville Community Foundation which will provide additional money for improvements in the community.